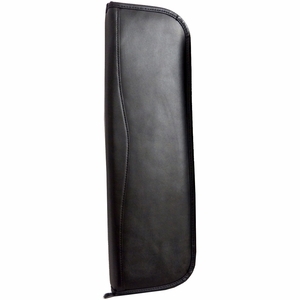 This helpful Black Leather Travel Tie Case is one of our most useful accessories for executives. It keeps ties neat and wrinkle-free when traveling to big meetings on the road. This travel tie case features several additional pockets, and a hook to hang it from a door or bureau. This is one of our nicest travel tie cases, made of genuine black leather. 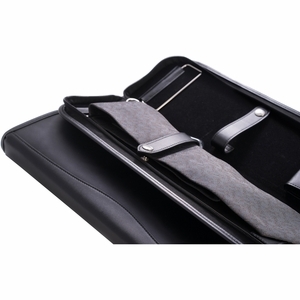 The executive can also carry several more accessories in this travel tie case. 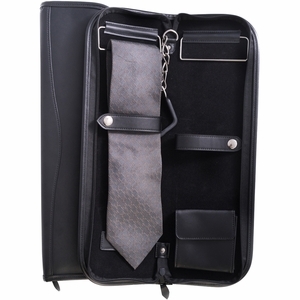 This Black Leather Travel Tie Case saves executives time. Organizes ties and eliminates the need to iron them at a hotel on the road. A must-have executive accessory, and a great gift.